Audrey Campbell and Rose Daniels of Rose & Co. Design styled Pitchfest and sponsored the photo booth. 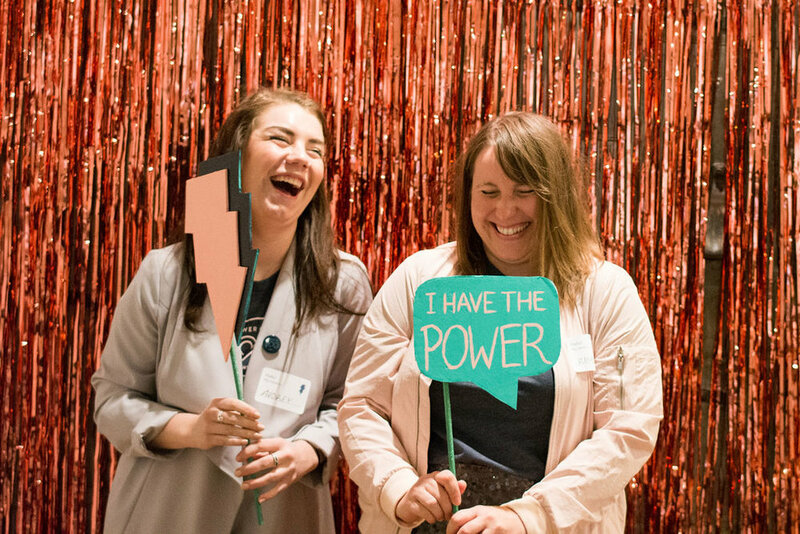 In an effort to lift up MSP’s change-makers, Power of 100 MSP debuted its first Pitchfest on October 10, 2018 for a sold-out crowd of 100 women, non-binary friends and a nice guy named George who got lost looking for a different Twin Cities Start Up Week event. Guests enjoyed divine wine from Small Lot Minnesota and a savory spread from Food Gallery Catering at a relaxed social hour in the Green Room at 514 Studios followed by a Pitchfest featuring speakers from three powerful community organizations: Carissa Carroll of Jack’s Basket, Molly Berg of the Women’s Prison Book Project, and Erica Gerrity of Minnesota Prison Doula Project. Adding to the night’s excitement was an inspiring keynote by Co-founders of The Coven, Bethany Iverson and Erinn Farrell, and a $10,000 prize for the winner of Pitchfest. Each of the three finalists was introduced by the member of Power of 100 MSP who nominated their organization and spoke for five, er…15 minutes, followed by a Q&A. After the third and final pitch, guests used the ballot card in their program to vote for a winner. While votes were tallied, and the suspense grew, The Coven’s Co-founders shared their story of success since March of opening a community and co-working space designed with women and non-binary folks in mind. After the winner was announced (more on that below! ), each guest grabbed their smart phone or checkbook to donate $100 to the night’s big winner: Minnesota Prison Doula Project. In total, Power of 100 MSP raised $10,000 to provide pregnancy and parenting support for incarcerated pregnant people and mothers. 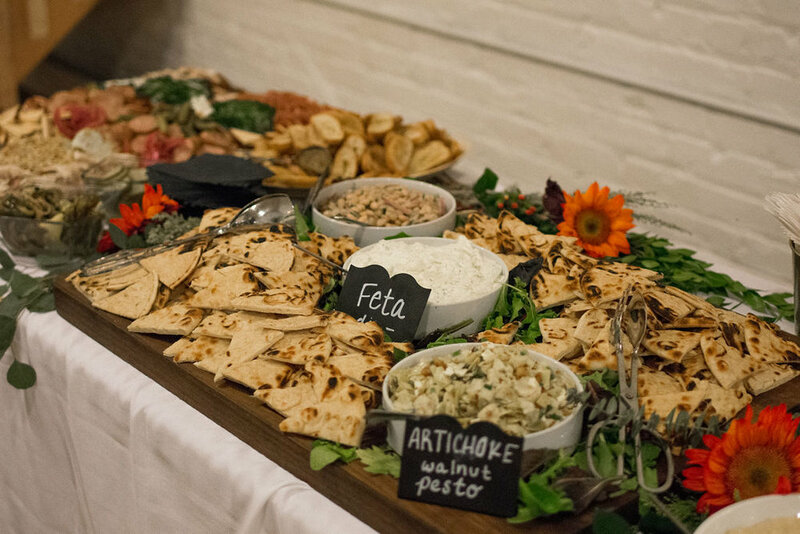 It’s been a month and we’re still thinking about the world’s yummiest smörgåsbord of appetizers imaginable provided by Sarah Enrico, Power of 100 MSP Member and Owner of Food Gallery Catering. And that wine! Small Lot Minnesota generously donated wines for Pitchfest. We loved their Brand Manager Kristin Watt’s attention to detail and interest in curating a selection of three wines for Pitchfest guests and in educating curious minds about wines that tell a story of the person and place behind the bottle. Katie Jo of With a Twist Bartending serves Vignobles Lapierre 'La Quietude' Merlot, one of three wines available for Pitchfest guests thanks to Small Lot Minnesota. 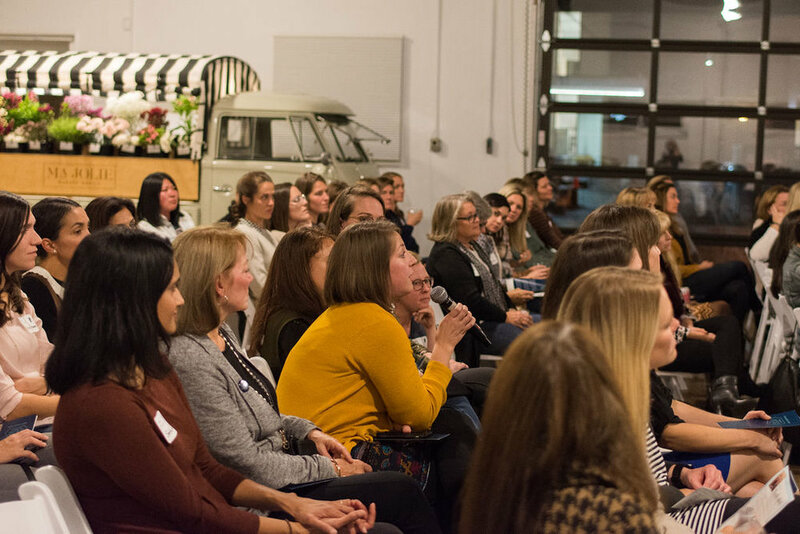 Pitchfest brought together 100 community-minded women and non-binary friends from across lifestyle and industry. The mood was welcoming and energizing. Some of our favorite feedback was that people who came alone said it was easy to meet new people. 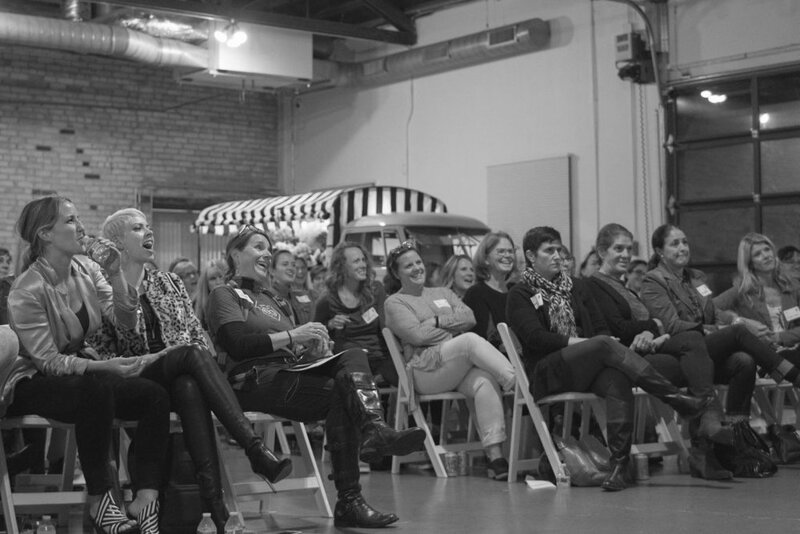 Pitchfest winner Erica Gerrity, Executive Director of the Minnesota Prison Doula Project, described the atmosphere of Pitchfest as, “the opposite of shark tank” and said the night “felt like being lifted up among peers”. 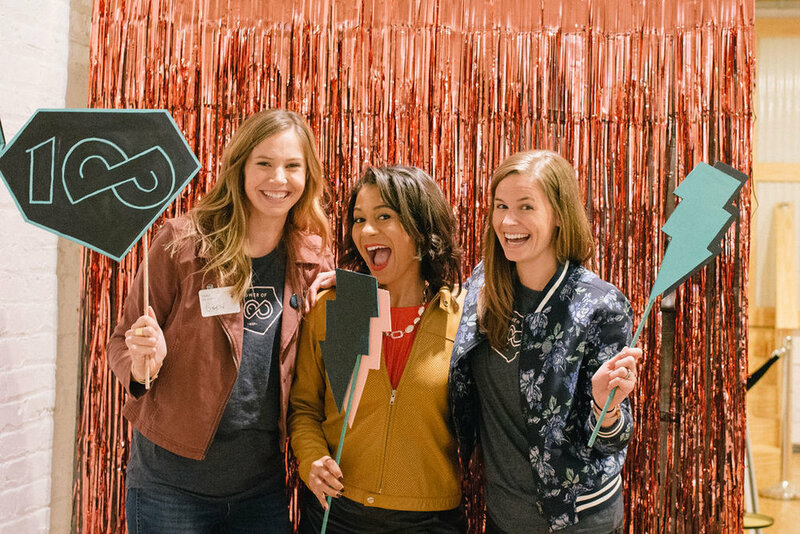 Power of 100 MSP was supported by a crush-worthy group of sponsors, judges and volunteers who collaborated closely over months with Co-founders of Power of 100 MSP, Gwen Cox and Ella Daniels to make Pitchfest possible. 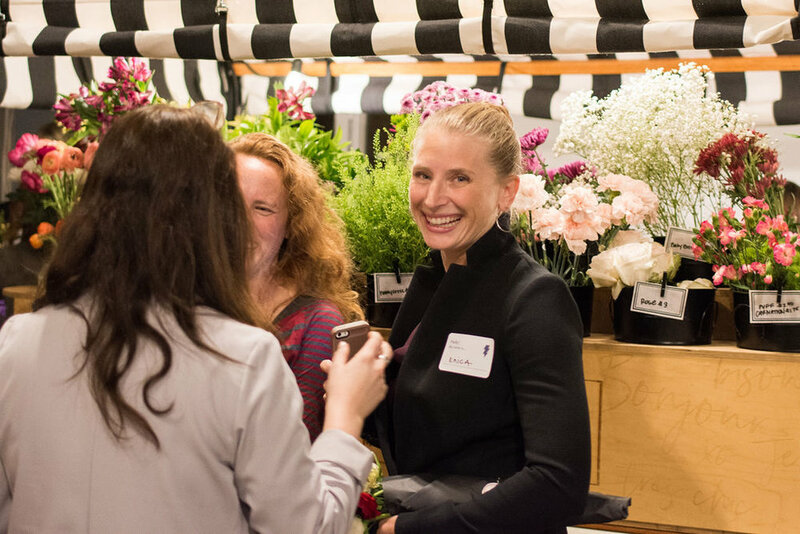 Among the most memorable event elements were parking validation by Cox Insurance, the shimmery photo booth by Rose & Co. and flowers sold from the Ma Jolie Marche Mobile Truck with proceeds benefiting the winner of Pitchfest. Something that stood out about Pitchfest was the level of engagement between guests and presenters during the q&a. The audience asked thoughtful questions and listened with rapt attention as Carissa Carroll of Jack’s Basket, Molly Berg of the Women’s Prison Book Project, and Erica Gerrity of the Minnesota Prison Doula Project described the mission and impact of their organizations. And we’re all still a bit stunned after learning how The Coven was built (and the way they built it) in less than one year! You guys. After tallying the votes, the wrong winner was announced! But here’s the kicker: it didn’t devolve into an epic disaster. In fact, it became one of the best moments of the night. Pitchfest Emcee Brandi Powell, Weekend Anchor and Reporter at KSTP-TV 5 EYEWITNESS NEWS, was given the wrong name to announce, but handled the mishap with humor and grace (are we surprised? no). 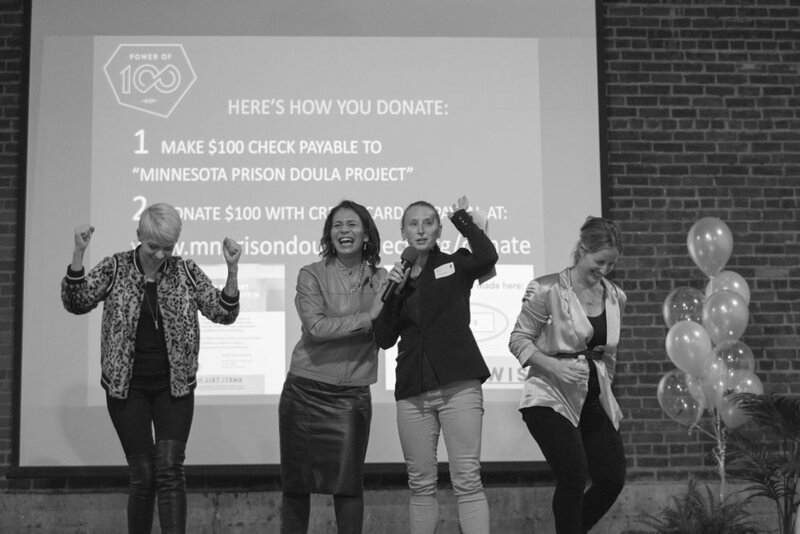 Then came the audible: Erica Gerrity, Executive Director of Minnesota Prison Doula Project announced she’d split the prize with the other Pitchfest presenters. Michelle Horovitz, Co-founder and Executive Director of Appetite for Change, was so moved by Erica’s decision, knowing how important $10,000 is for a non-profit organization of her size and made a personal appeal to everyone to join her in donating beyond $100. Many guests ended up donating to all three Pitchfest finalists. So there you have it, friends. It wasn’t the ending we planned, but in many ways it was better. What Brandi, Erica, Michelle, and so many others demonstrated at Pitchfest is the power of collaboration over competition. And that’s why we started Power of 100 MSP in the first place. Cheers to the peeps who made Pitchfest possible. Simply put, Pitchfest would not have happened without our lead sponsor Cox Insurance, a third generation, family-owned insurance company based in St. Paul. 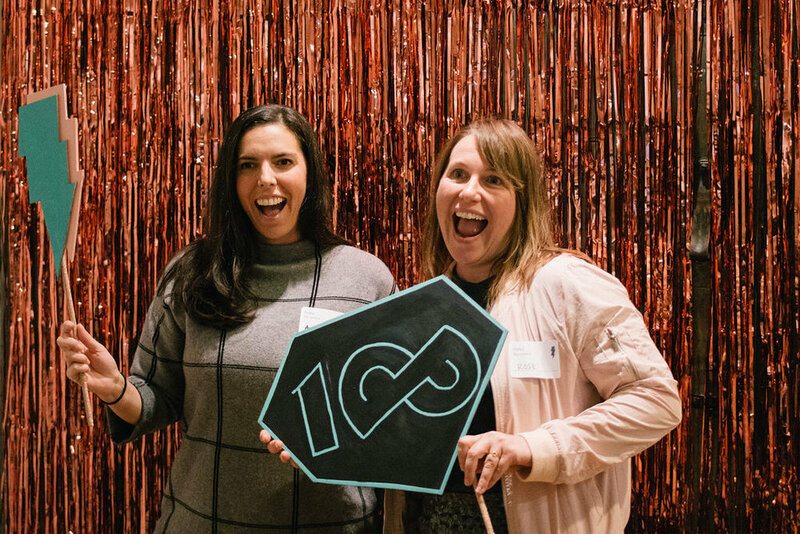 Power of 100 MSP would not have happened without support from Rose & Co. Design, a small design studio in NE Mpls specializing in branding, illustration, design, and events. The full list of Pitchfest’s high-powered sponsors includes: Cox Insurance, Rose & Co. Design, Food Gallery Catering, Small Lot Minnesota, Adrienne Leigh Photography, B. Resale, Twin Cities Start Up Week, 514 Studios, and Ma Jolie Marché Mobile. Pitchfest was also supported by a boss panel of judges: Michelle Horovitz, Co-founder & Executive Director of Appetite for Change; Lulete Mola, Vice President of Community Impact of the Women's Foundation of Minnesota; Jamie Millard, Executive Director of Pollen Midwest; and Alex West Steinman, Co-founder of The Coven Minneapolis. Did we mention this was a labor of love? 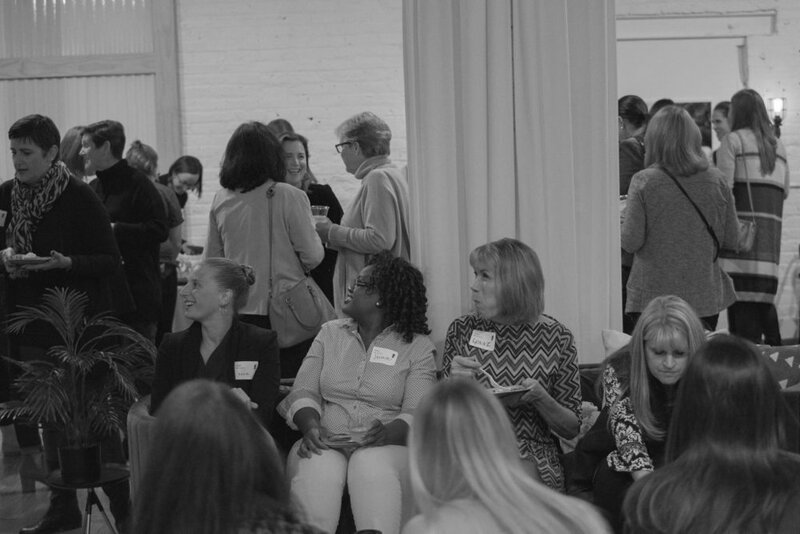 Couldn’t have done it without the ideas and help from our committed volunteer squad: Martha Archer, Kristy Weifenbach, Beth Lokken, Emily Mauter, Hanna Cox Connor, Anna Racer, Kelsey Hunt, Rose Daniels, Audrey Campbell, Emily Gilmore, Christine, Schwichtenberg and Michelle Horovitz.